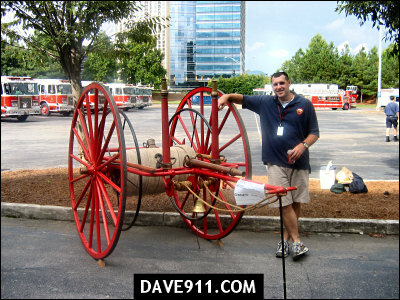 Scott, from Atlanta Fire Station 38, sent this great shot of his 1909 Wirt & Knox Hose Cart which he had on display at the Atlanta Fire Muster. Thanks for the picture, Scott! My department is currently in the planning stages of restoring our hose reel. I was wandering if I could possibly get in contact with Scott about his Reel.